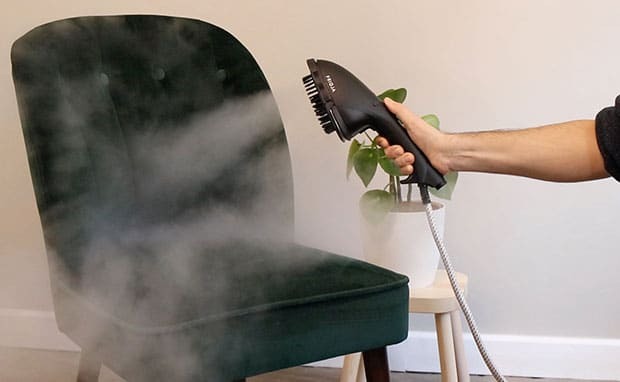 The Most Powerful Handheld Travel Clothes Steamer Available! 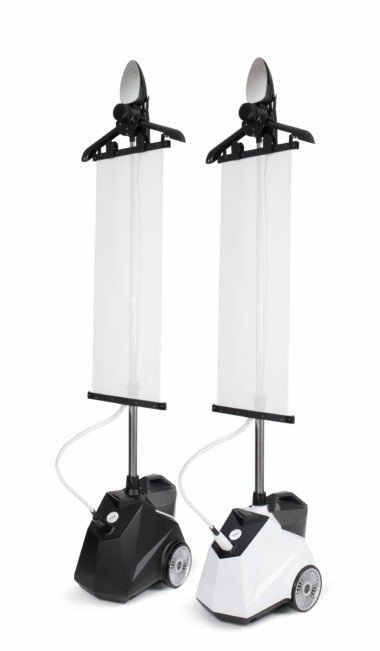 After years of development, we are super proud to release the Fridja f10 portable handheld clothes steamer, ideal for traveling! Weighing only 900 grams, we made sure that there are no compromises! We’ve made it the same power as a full sized one – 1500W! 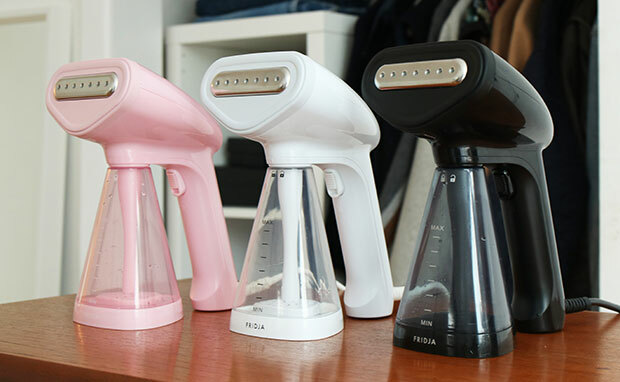 Coming in black (Raf), white (Erin) and pink (Gigi), these three powerful handheld clothes steamers are ideal for those in tight spaces, on the move from city to city or just as a new sidekick! 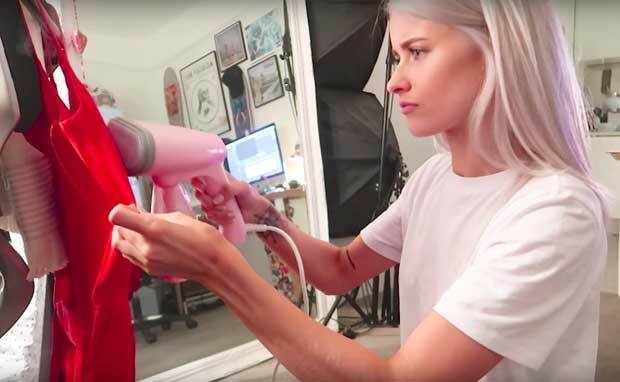 Since 2010, Fridja have led the way in garment care. 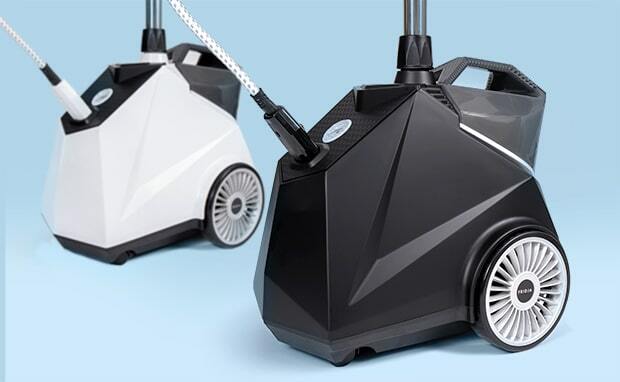 Our clothes steamers are an incredibly fast way of avoiding ironing and cutting down on dry cleaning. 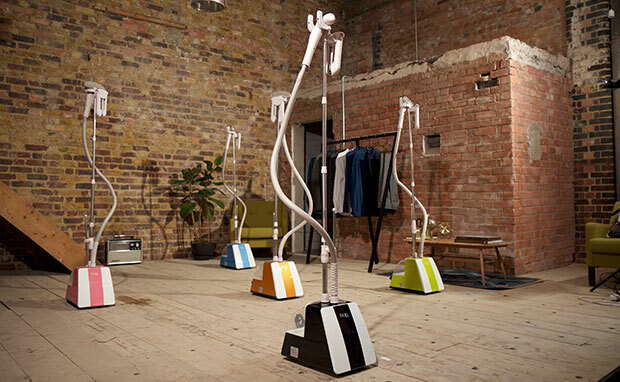 Coming in a range of colours and with a start time of 45 seconds, you’ll wonder how you lived without one. 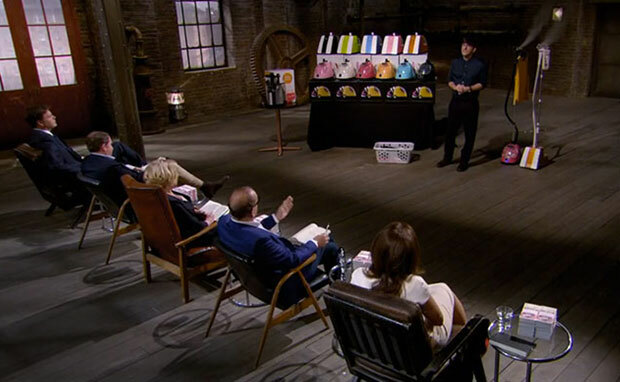 Knocking Dragons dead on Dragons’ Den and being used at countless fashion events across Europe, Fridja garment steamers are the perfect solution for refreshing fabrics, eliminating creases and caring for your clothes. 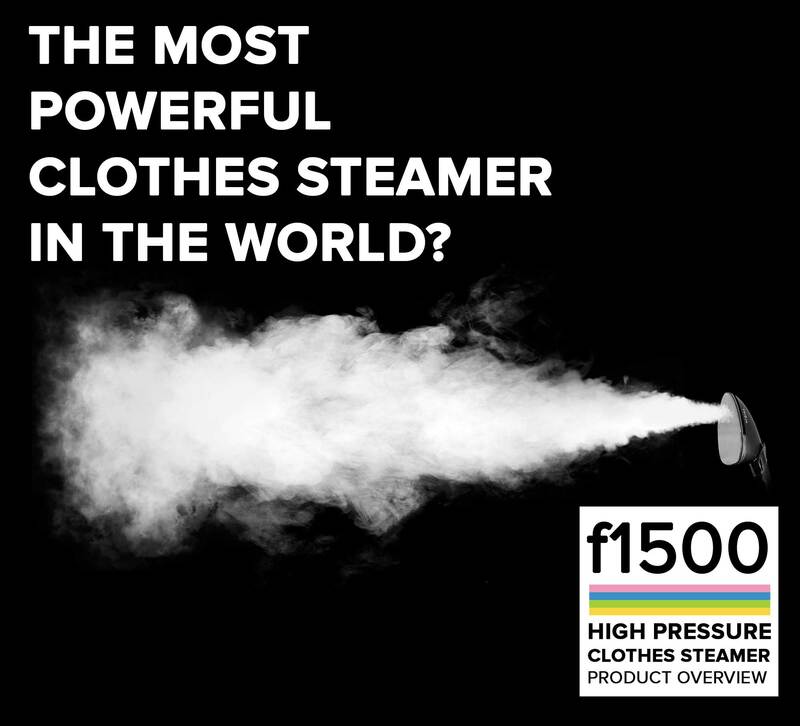 In 2019 – meet our brand new f1500 high pressure clothes steamer, the most powerful clothes steamer in the world! 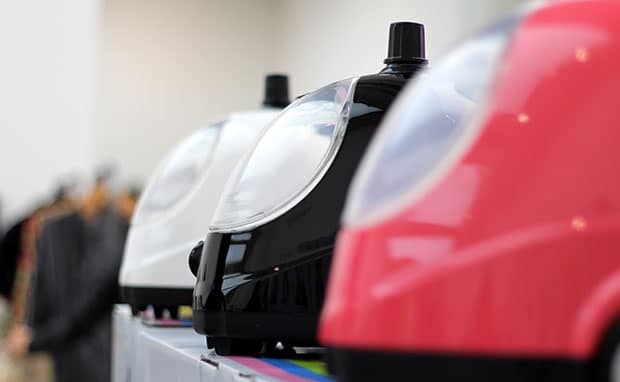 SEE OUR FULL RANGE OF FRIDJA PRODUCTS! The brand new Fridja f200 is simple and minimal design but an incredibly handy tool. 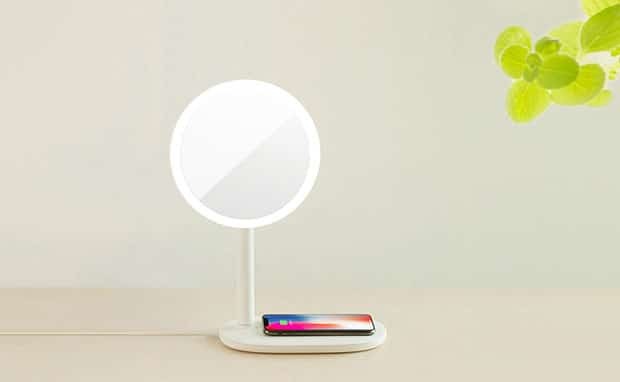 The f200 fast wireless charging LED mirror lamp creatively combines the function of mirror lamp, desk lamp and 10W adaptive wireless fast charger. 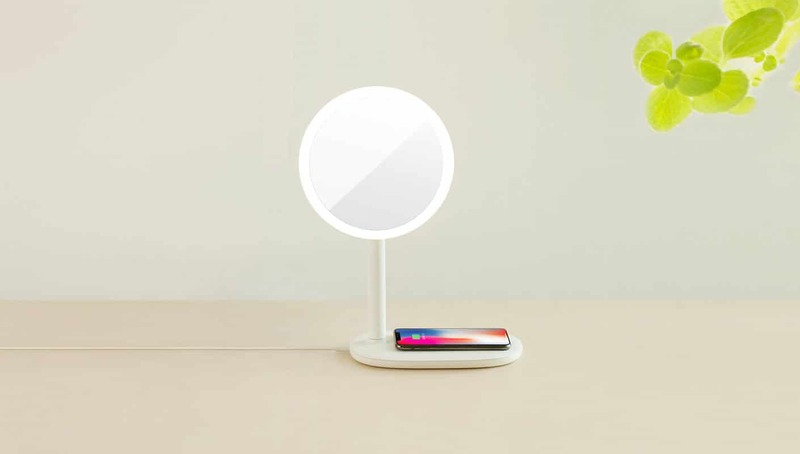 Providing the ultimate lighting for skincare and daily routine, applying your make up, charging your QI-enabled devices such as your iPhone or Samsung phone and a lamp to read with. 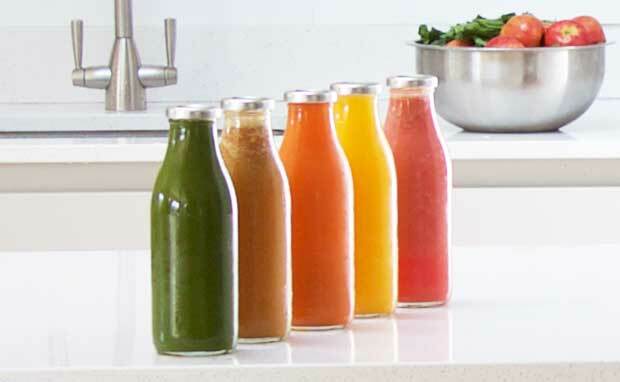 We couldn’t help but launch a range of cold press juicers. 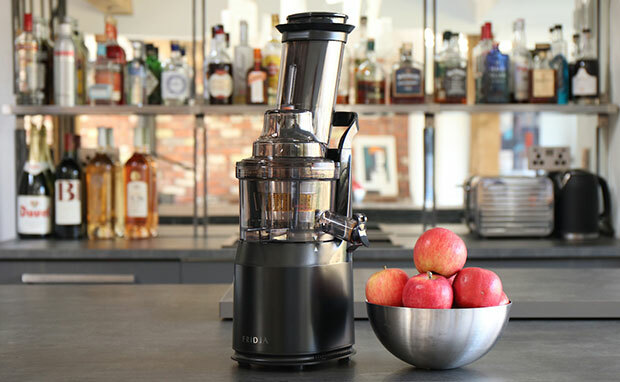 Slow juicers are incredible at squeezing fruits and vegetables into amazing juice leaving just dry pulp. Whether you want to juice for weight loss, clearer skin or just to stay on top of your five a day, slow juicers are a revolution in the kitchen. Sergio, our f1900 model, has a huge three-inch tilted wide mouth feeding chute, which makes juice, smoothies, fruit ice cream and so much more. With next day delivery, you could be less than 24 hours away from feeling a whole lot better. 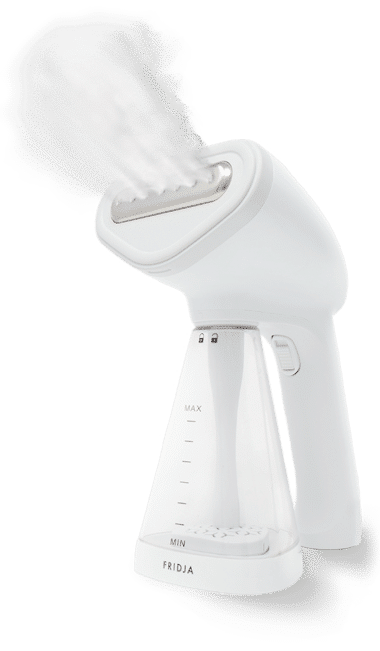 At Fridja, we have a passion for home technology, products that make you look good and feel good. From our famous clothes steamers to our technologically advanced cold press juicers. We believe that the best way to showcase our products are videos. So please, sit back and flick through some of our greatest ones. If you never want to miss another one, please subscribe to our YouTube channel or any of our social media platforms, we promise to keep you in the loop. Thanks for watching! Our brand new f200 is a totally new product. Combining three functions in one, and looking freaking awesome, this would get used everyday. The LED mirror is strong and illuminates every part of your face. The desk or night lamp is soft and ideal for natural light for reading or working. 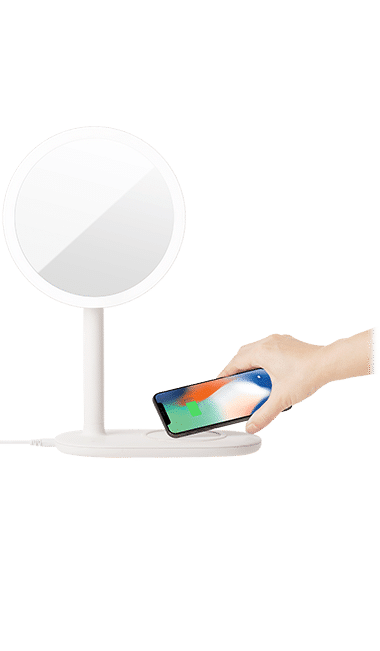 The 10W adaptive wireless charger gives power to your Qi-Enabled devices in the fastest and safest possible time. Fridja products (accessories not included) all are sent with free shipping, valid in UK and lots of Europe. 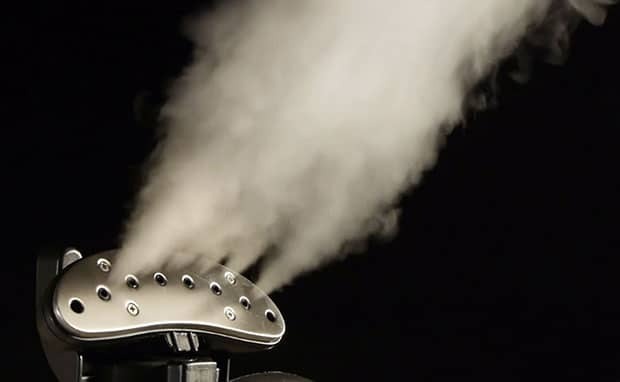 Our clothes steamers produce great results, we think they are the best looking clothes steamers on the planet! Simply order by 1pm on this site and you’ll receive your Fridja the next business day if you live within UK mainland.